Shuaib Lwasa (UGEC project SSC member) is spearheading a collaborative research project as a result of an awarded 2011 START grant for Global Environmental Change Research in Africa. This research is a meta-analysis of food security in urban and peri-urban areas in African cities and will assess how the provision of food within peri-urban and urban areas affects, and is affected by, climate change (Michail Fragkias, former UGEC project Executive Officer and David Simon, UGEC project SSC member are both co-PIs). The project’s goal is an assessment and evaluation of UPA’s contribution to food security and enhancement of eco-system services for climate change resilience in African cities. Scope and Rationale: Food security in urban and peri-urban areas of Africa is a significant challenge because of high sensitivity by the urban poor and middle class to food price spikes, which are linked to global factors including extreme climate events in important cereal producing regions of the world. This research will perform a meta-analysis to evaluate the role that urban and peri-urban agriculture (UPA) plays in enhancing urban food security in East African and West African cities, and how the provision of food within peri-urban and urban areas affects, and is affected by, climate change. The meta-analysis will also examine the environmental impacts of and environmental services provided by UPA in the context of building more resilient cities. This research effort will help to address the significant knowledge gaps that exist in the global south around urban agriculture’s role in and contribution to food and livelihood security. Dr. Lwasa has over a decade’s University teaching and research experience at Makerere University in Uganda. He will research innovative urban planning and land management strategies to evaluate the role that urban and peri-urban agriculture plays in enhancing urban food security in Eastern Africa, compare it with the role it plays in Western Africa, and fill knowledge gaps. Dr. Bolanle Wahab received a PhD in Urban Design from Heriot-Watt University, Edinburgh (UK). He is the Ag. Head of Department of Urban and Regional Planning, the Coordinator of Indigenous Knowledge and Development Programme at the University of Ibadan, Nigeria, and a a Member of Oyo State Urban and Regional Planning Board, Oyo State, Nigeria. He will assess eco-system services derived from and/or enhanced by urban and peri-urban agriculture in urban and peri-urban areas. Dr. Mugagga is an Environmental Geographer with experience in landuse, rural/urban services/livelihood systems and global environmental change related research. He has a PhD (Environmental Geography) from Nelson Mandela Metropolitan University, South Africa. He will synthesize the contribution of urban and peri-urban agriculture (UPA) towards climate change mitigation and adaptation in African cities. He will also, identify possible pathways for UPA’s role in urban ecological resilience to climate change in different environmental settings of African cities. 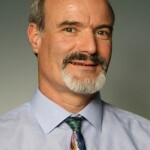 Dr. Simon is a professor and head of the Development Geography department at Royal Holloway, University of London, UK. He is on the Scientific Steering Committee of the Urbanization and Global Environmental Change core project of the International Human Dimensions Programme on Global Environmental Change (IHDP) and advises the UN-HABITAT on cities and climate change. He is the vice-chair of the editorial board, of theJournal of Southern African Studies and serves on editorial boards for several other international peer-reviewed journals. His START research will evaluate how urban and peri-urban farming contributes to regional and national development planning in different regions in Africa. Dr. Fragkias is the Executive Officer of the IHDP Urbanization and Global Environmental Change Project (UGEC). He is an applied social scientist (an economist by training) specializing in urban economics, economic geography, spatial analysis and applied econometrics. His research will examine how urban and peri-urban farming activities contribute to food and livelihood security in different regions in Africa.